Russians have an amazing trait – they like to huddle together when doing something. It can be a small company of close friends who attend yoga classes together or a large community that unites thousands of participants with a particular interest. Anyway, the core remains the same: Russians hate to do things on their own. It all goes far back to the Soviet regime where people were obligated to do everything together. From early childhood till old age, people were participating in a variety of Soviet organisations, social activities and meetings. The truth is that the propaganda of “unity” was aimed at brainwashing society into supporting the Communist ideology. And it actually worked for almost a century. During that time people lived all together as one big country and one big community. When the USSR collapsed, the philosophy of unity became redundant. Today the world has changed and not much remains from the old times, except the Soviet buildings and this unexplained willingness of people to be involved in mass activities. This is the reason for the gathering crowds during the holiday celebrations. To celebrate quietly, or Lord forbid alone, would turn into a tragedy for the average Russian soul. The ideal scenario for a proper celebration includes a large crowd, noise, various activities and an unpredictable ending. Well, it is not about the festivity, but about the reason to join in. One would think, the necessity of communities died together with Communism, but the desire to be “together” is still alive. This idea took a root in our consciousness. 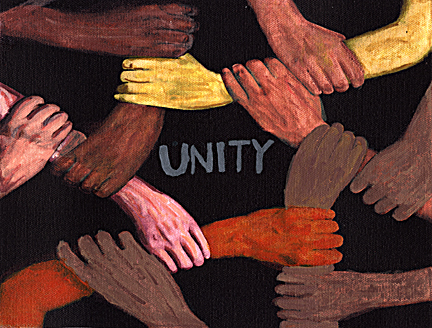 Although we are now progressive, open-minded and have quickly adapted to the multicultural environment, somewhere deep in our soul we still maintain a desire to unite with someone like-minded. Probably that’s why we still celebrate International Labour Day and the Defender of the Motherland Day - the holidays that do not exist anymore in the official calendar.